It was the year 2005. 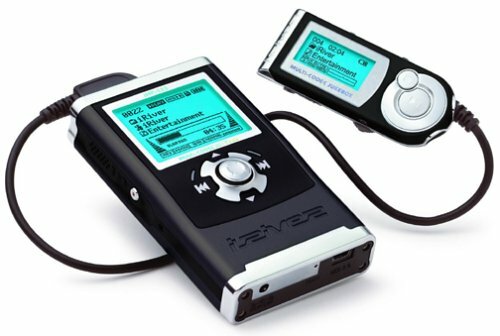 I just purchased an ‘iRiver’ portable MP3 player, shunning the more popular iPod at the time because I wasn’t on team Apple yet. My iRiver MP3 player had a built-in microphone. It was this little black dot you could speak into and record sound with. 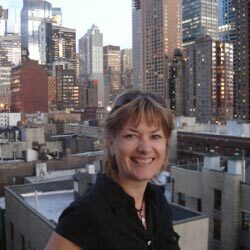 At the time I was just starting to blog at Entrepreneurs-Journey.com, but a new trend caught my attention – podcasting. I wasn’t the most likely person to start a podcast. I was painfully shy growing up. I hated public speaking so much that I even faked an eye injury once to get out of talking in front of my whole school (I ended up having to do it a week later). Once I entered university I deliberately selected subjects that had minimal oral assessment criteria. I just hated to talk in front of people. Which made the fact that I was considering recording myself talking and then publishing a podcast a pretty far-out thing for me to do! No one was there listening to me, yet it was like I was ‘on stage’ talking to all these people out there on the internet who might download my recording. I recorded myself ramble for 15 minutes, uploaded the MP3 to the internet, and published a blog post to give it to my audience. Done. I was a podcaster. My first few podcast episodes were quick and dirty. I recorded myself talking for ten to fifteen minutes, then uploaded the raw MP3. No editing, no music, no planning. My results were positive — but far from groundbreaking. My blog readers were kind to me and said they liked being able to hear my voice. I realized it would be easier, more fun and could lead to much better content, if I had a guest on my podcast I could talk to and interview. Radio talkshows have been popular for decades, so it made sense that podcasts with more than one person would work too. I especially liked this idea because it meant I didn’t have to do all the talking. I could ask questions, then sit back and let my guest speak. The perfect solution for an introverted podcaster. 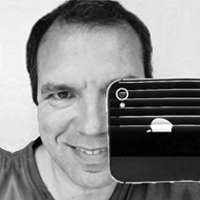 I decided to run a test by inviting a local friend – Will Swayne – on to my show as my first ever guest. 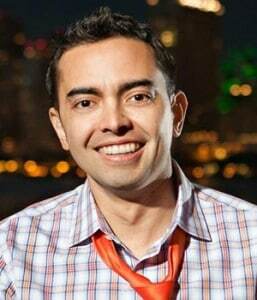 He was running an online marketing business so was a good fit for my entrepreneur podcast. I called Will on Skype, hit the record button on a piece of software called Pamela to record our chat, and boom — my first ever podcast interview (June 2005) was done. I uploaded the episode to my blog and instantly received positive feedback. There was something magical about this format. I didn’t realize this at the time, but that very first interview was the starting point for the creation of a special ‘formula’ I would apply to every podcast I did from then on …and still use today over a decade later! This formula became my secret-sauce — the big difference that made my podcast catch on in popularity and allowed me to stand out when the podcasting world became much more crowded years later. That was one of the best interviews I have ever done. You just seem to know the right questions to ask at just the right time. You really guided that interview well and took me to places I have never talked about before. Let me know when the interview goes live because I want to share it with my audience too. As you can see, my interview formula made a difference — AND it resulted in my guests feeling so excited that they wanted to share the interview I did with their audience. You can imagine that did some VERY good things for my traffic. The podcast world got crowded. REALLY CROWDED. When you see the kind of numbers some podcasts get when it comes to downloads, with all those millions of potential subscribers there to be tapped into online — and it’s all free — it’s not surprising everyone is having a ‘go’ at this podcast thing. …And then there are those hard-core new podcasters starting multiple shows or working long hours to try and deliver a daily podcast, hoping the ‘quantity’ formula will lead them to success. Sadly, for most people, none of this works. Quality, compelling content, that delivers genuine value. With more competition, it’s getting very noisy, which means people’s attention spans are getting smaller. You better make a good first impression or they will quickly forget about your podcast. To make matters even worse, because some successful podcasters do a daily show, new podcasters think they also have to do daily if they want to succeed. I feel tired just thinking about that. I don’t care how good you are at batch processing, that’s a lot of work. In my opinion it’s never smart to try and win with a strategy based on quantity. You should try and win based on quality. So, what is the secret to producing a high-quality podcast? I started podcasting shortly after I started blogging and I learned something critical about both mediums. Storytelling is key to capture attention. When we listen to just plain facts and figures, it fires up our language processing parts of our brain, where we decode words into meaning. If however we hear a story, not only do the language processing parts of our brain activate, but also many other areas related to experiencing the events of the story. In a 2006 study published in the journal NeuroImage, researchers in Spain asked participants to read words with strong odor associations, along with neutral words, while their brains were being scanned by a functional magnetic resonance imaging (fMRI) machine. When subjects looked at the Spanish words for “perfume” and “coffee,” their primary olfactory cortex lit up; when they saw the words that mean “chair” and “key,” this region remained dark. When we hear stories, we experience the story in our body. We take the steps, taste the flavors, and feel the emotions as we hear the words… and all of this makes it a much more engaging experience. There is a reason why metaphors are powerful learning tools. They teach lessons wrapped up in stories. That is exactly what you have to do with your podcast. Each episode needs to be a story, not a simple relaying of facts, or statement of events. Another key lesson I’ve learned as an entrepreneur, is the importance of positioning. Positioning means you stand for something to a certain group of people. Your information has more meaning because it’s specifically tailored to people with a predisposition for what you have to say. A podcast is no different. 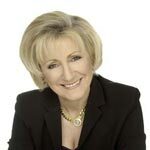 You need to tailor your message to a certain group of people who are actively looking for that information. Unfortunately so many podcasts present ad-hoc content, with general information targeted at huge audiences. It’s not hard to see why these podcasts never catch on. They disappear into the general noise of the crowd. They try to appeal to everyone and thus make a statement of powerful intent to no one at all. You must avoid that outcome. Your podcast must be important to a specific sub-group of people. My podcast is a good example of these benefits. Sometimes I go as long as three to four months without publishing an episode. Even during my most prolific periods I’d barely manage a bi-weekly show. Yet despite this relaxed schedule my podcast does exactly what I want it to do – attracts an audience that is targeted to buy my products and services, and enhances my relationship with them. Your podcast should have a purpose, and that purpose should be clearly linked to your goals. If it doesn’t, you’re guessing and hoping it will magically just work. That’s not going to cut it when there are so many other podcasts people could listen to instead of yours. If you’ve done your research into how podcasts make money you will hear some common advice. Most podcasts, once they become big enough (usually at least several thousand downloads an episode), will attempt to find a sponsor or two. The sponsor’s message will be read out at the start of the podcast, possibly in the middle and repeated again at the end. In return for that, you get paid some money, the larger your audience, the more you make. No matter how ‘on target’ the sponsor’s message is, it’s still an advertisement.I don’t know many people who like advertisements, especially when you start to hear them repeated over and over again on every episode of the podcast. To put it simply, ads make your podcast less engaging — it’s like comparing Netflix (No Ads) to Cable TV (Annoying Ads That Repeat) — Remember how important quality is to keep your audience engaged! In order to make real money from this method you need HUGE traffic (hundreds of thousands of podcast downloads).I don’t think I have to tell you that if you want more traffic you have to work harder. That’s when things like a ‘daily’ podcast become important, plus if you want to keep making money you have to keep producing new episodes constantly or you won’t be able to sell more ads. That sounds like a trap to me. Don’t fall for it. Let me tell you a much smarter way to make money from a podcast. Instead of selling ads, you use your podcast to attract potential customers for your business. You probably already sell products and services, so why wouldn’t you use your podcast to help grow this already available income stream? You can make $100,000 a year from just 100 paying customers if each of them purchases a total of $1,000 worth of your products or services over the entire year. They might purchase your $30 ebook first, then upgrade to your $300 course, then six month later sign up for private coaching with you for $750. Do you think you can find just 100 customers in an ENTIRE YEAR using your podcast? 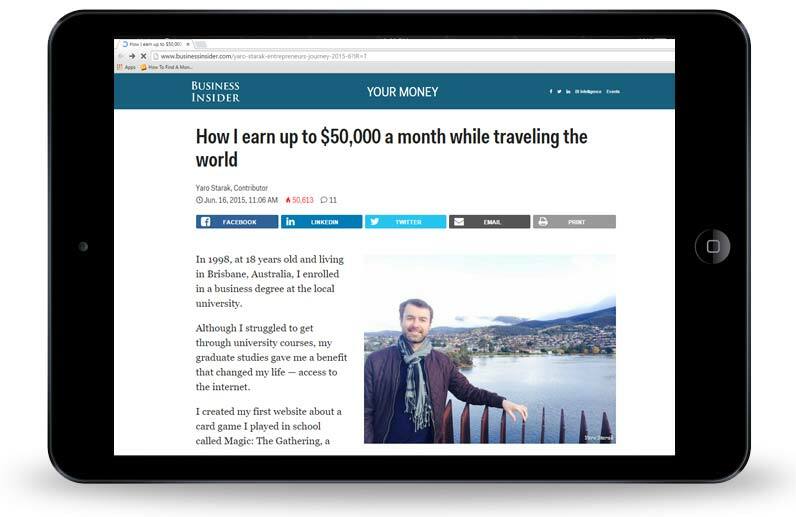 I certainly see that as a much more realistic goal than trying to get the hundreds of thousands of downloads you will need in order to make that kind of money from advertising. That’s a million dollar income stream if you can just find 1,000 customers. But why stop there? Why not aim for 1,000 customers paying you $1,000 a year. Do you know what that equals — that’s right, one million dollars. From that point back in 2005 when I did my first ever podcast interview, I continued to do more interviews, refining my technique over time. I joined your course because I was inspired by your podcast interviews. The big reason I decided I wanted to work with you in your course Yaro was because of your podcast. I love your style, down to earth nature, and I could see based on your interview guests you offer a genuine path to success that I could follow too. My goal is to be your next success story featured on your podcast, that’s why I decided to join your course. It was incredible how many people made the decision to buy my product because of my podcast. I didn’t truly understand the power of my podcasting formula until this moment. Over the years since then, my podcast is by far the most commonly referenced point for first finding me and building the trust necessary to feel comfortable purchasing my programs. Why don’t more podcasters sell their own product through their podcast? It didn’t make sense to me. Podcasters are great content producers, yet most of them focus on advertising/sponsorships to make money. Were they scared to sell their own product? Maybe they didn’t know how to make a product? Then the penny really dropped for me. Why can’t you charge money for a podcast? Why can’t you sell a product that IS a podcast? This made complete sense to me. You grow an audience that wants to listen to you via audio, so why not also offer a ‘next step’ product that is also audio? Podcasters already have the skills, all they need to do is package up something special in the audio format and sell it via their podcast. Of course the first person I thought of when I had this idea was ME. I should take my own advice and create an audio product doing what I already know how to do – interview people. I immediately began putting my idea into action. I decided to create an ‘interviews club‘ – a premium podcast, that would feature longer interviews, high quality transcripts and written action plans featuring the ideas my interview guests shared. I planned to charge a monthly subscription fee, just like those old CD-of-the-month clubs that send an interview or music CD in the mail. (I was still shocked other podcasters hadn’t thought of this!). Rather than pre-record all the interviews in advance, I decided I’d record the first month interview, sell my product, then keep producing new interviews each month to my subscribers. That way I could launch my product FAST, and not risk putting in too much work if it turned out no one wanted to buy it. I followed through on my plan and released my first ever interviews club — a podcast that people pay money for. The results were fantastic. Within the first month I had 150 paying subscribers. Why weren’t more podcasters creating ‘podcast products’ they could sell to their podcast audience? I then added my interviews club as a bundle offer with the ebooks I sell. This had the added benefit of turning my one time ebook sales into a recurring interview subscription. It just seemed so obvious. After 10+ years experience running my podcast, perfecting the storytelling interview formula, and then flipping the switch and directly making money from a podcast by charging a subscription fee for it, I’ve decided to reveal what I’ve learned. I believe anyone — that means you — can start a podcast about the topic your business is about and use the storytelling interview formula to reach new audiences, connect with leaders, grow your email list and sell your products. You can even use it to CREATE products. Power Podcasting is a short course you can study in a day, designed to teach you the most important keys to success with your podcast. Podcasting is the ONLY medium where you can catch commuters right between their ears – not just in public transport but all car makers are busy incorporating equipment for it! 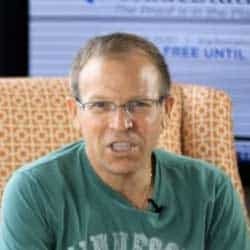 Get free coaching from your guests… where normally you’d have to pay thousands of dollars for the privilege! Leverage your new podcasting skills to create audio products in a VERY rapid progression… and sell those products back to your podcast audience! By now you’ll want to know what you can actually DO with Power Podcasting. Would You Like To See My Secret Stash Of Strategies Directly Responsible For A Decade’s Worth Of Profitable Podcasting? If you’ve had enough of tech-heavy video blogging and time-consuming writing… perhaps it’s time you tried content marketing the easy way (or add it to your current publishing mix!). There just isn’t an easier way to create content, than to ‘talk it out’ with someone relevant, following a ready-made structure that ensures you always get it right. 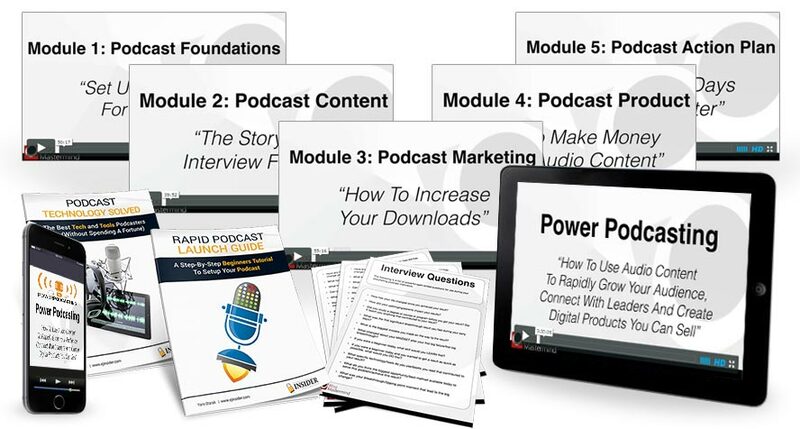 Five Training Modules Packed With Instantly Actionable Instructions To Create Your Own Profitable Podcast! As I created this program for you, I went to great lengths to make sure it’s extremely easy to follow, easy to digest and easy to implement. Did I mention the word easy? I’m personally sick of seeing courses that are hastily thrown together, padded with excess content you don’t need or know already, that will only give you a headache as you try to find any specific actionable information that works. This one’s the polar opposite of that – it’s short and to the point, readily accessible and instantly usable. This is a vital strategic question, one that you need to clarify before building your podcast. If you want a specific result, you have to know what that result is. This module will help you determine what results are possible so you can make an informed choice. The outcome of this process is a clear goal for your podcast to achieve in the next 30 days. I also devote half of this module to introducing you to the technical components of a podcast, including what tech I use, and what I recommend you start with if you want to get up and running within 24 hours. Inside the second module, I’ll take you right through my proprietary ‘Journey‘ Interview Formula for podcasts that will blow everyone away. When you follow this formula to the letter, everyone will come out better for it: you the producer, your guest expert, and the listener. This ensures you’ll NEVER have a ‘dud episode’ in your life! This formula is vital because it results in a superior interview, one that your guest will feel is so good they will want to share it (thus delivering traffic and subscribers to you!). How To Increase Your Podcast Downloads… AND The Traffic Your Website Gets As A Result! Anyone can throw up a podcast on iTunes and watch it go nowhere. You don’t want to be one of those people. It’s vital you tap into what I call the ‘Virtuous Cycle‘ – a stable and realistic formula for long term subscriber growth and traffic. In module 3, I’ll teach you how it works and how you can begin applying it from day one when your podcast first launches. I’ll also break down the various traffic sources you can tap into as a podcaster so you will never be confused by how exactly podcasts become popular (and thus how you can make yours popular!). How To Make Money Selling Audio Content… Using The Very Same Skills You Now Have! Module number four will finally show you ‘where the money is’. THIS is the extra step that nobody else is teaching. I want to be clear here… this is not about teaching how to make money from a free podcast through things like advertising or sponsorship or selling other products. This is about creating a podcast (audio content) that you sell directly. I’ll show you my three favourite ways to produce audio products, and cover several different delivery formats, so you can pick and choose depending on what you decide to create. I’ll even help you with pricing strategies, upselling optional backend products and more! You’ll come through this with the sense you can create profitable audio products at will. In the final module you’ll get a 5-step action plan for your first month as a podcaster. I’ll help you set your personal goal for your podcast, plan your first five interviews, how to turn your podcast into a sequence of content delivered via email, or even create a product. 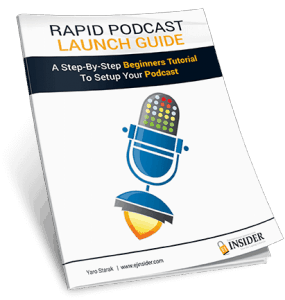 Finally, I’ll show you exactly how to LAUNCH your podcast in a way that will actually get it noticed in the marketplace. You might be thinking you’re not a “computer” person or technical things always break around you. It’s time you stopped thinking like that and instead tackle this challenge head on. You will never build a successful online business and will forever be one of those people trapped to a job for the rest of their lives if you don’t deal with this technology fear. Of course you can get slowed down by things like microphones, editing software, hosting accounts, publishing tools and so on. Consider this your ‘cheat-sheet’ for choosing the right technology to run your podcast with. All the most popular technology, tools and software are listed for each key podcast function – recording, editing, publishing and distribution. I’ve also highlighted a recommended tool in each section to remove any anxiety you have about making the wrong choice. 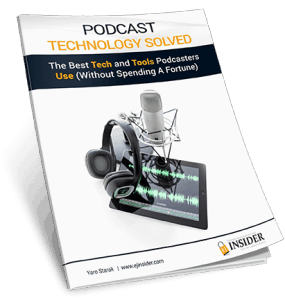 You won’t need to look any further than this report to find the right tech to create your podcast with. All the best (and free!) software and resources for publishing your podcast, from creating your blog, cover art, intro music, transcriptions and more! Bonus 1 lists all the key tech tools you need. This second bonus guides you step-by-step through the process of setting everything up. If technology is your weakness and you can’t afford paying anyone else to setup your podcast for you, then this bonus is going to be worth the price of admission. This report provides very clear and basic instructions — including screenshots — of every step to take to setup your podcast. What If You’ve Never Done An Interview Before? The foundation principle of Power Podcasting is the storytelling interview formula. Just the thought of interviewing someone might send a chill down your spine. What if you stutter or get so confused nothing comes out of your mouth? What if you lose track of where in the story you are up to? Interviews are scary at first. Everything gets easier with practice, but I don’t want to leave you without a back-up plan. In all my interviews I essentially ask the same questions. I might phrase them differently, or adapt them to the story I am hearing from my guest, but I’m always looking for the same information. It’s a formula after all, one that I’ve developed and internalized after doing so many interviews. It would be crazy to expect you to instantly know the right type of questions to ask, which is why I give you this extra bonus. I provide you with the 26 core questions I use in every interview on a cheat-sheet. You can keep it right next to you when you conduct your interviews so you never get lost. It’s the ultimate back-up plan. Heck, it can be your only plan. 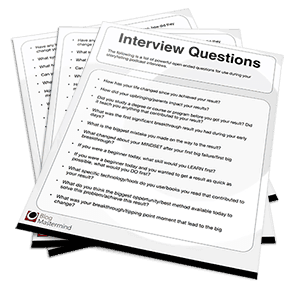 Just use the questions as the basis for your entire interview and the end result will be a high quality podcast. 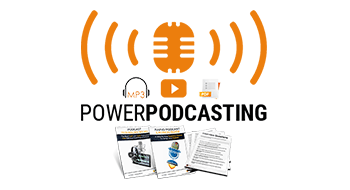 You can download the cheatsheet immediately after logging into the members area for Power Podcasting. 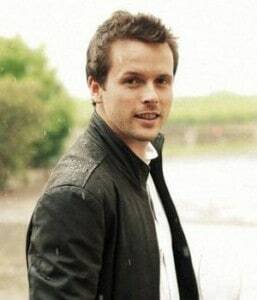 You Might Be Wondering… Can You Trust This Yaro Guy? If you’ve never purchased a product from me before I can understand your concern. Let’s face it, there are many scams online, and plenty of products that promise a lot but end up giving you mostly fluff with no substance. First I recommend if you have not done so already, go listen to my podcast. This will give you a feel for my personality and also my process as a podcaster. One of the wonderful benefits you can enjoy once you build your online profile, is to get featured in mainstream media. Here’s a clip from my appearance on live television in Australia, as part of the SkyNews Business program, where I talked about how you can make money online through blogging and podcasting. As per all my programs, you have my customary 30-day money back guarantee. I have no interest in keeping your money if you don’t get where you need to go. So go ahead, take your time, take the full training and if after going through the whole course and every exercise and bonus you’re still not able to create a podcast that’s worth your while… come to me, ask for your money back (email: [email protected]). I guarantee if you go through Power Podcasting, study the strategy, implement the 5-step action plan, you will be up and running with a podcast, your first interview done and available for download on your blog and in iTunes. If after following the instructions in this program, you still have not successfully launched your podcast, contact me and my team will set it up for you. That’s my ‘No Podcaster Left Behind’ policy. Yes podcasting has enjoyed a wave of popularity primarily thanks to smartphones and iTunes, but it’s still early days. …And I can prove it to you. Go to iTunes and look up the category that relates to your industry. See if you can find a podcast on exactly the subject you want to cover. I bet at most you will find fewer than ten podcasts, and even those wont be on exactly the same angle your podcast will cover. This is a HUGE opportunity. You can become THE top leader in your industry simply by making the decision to go after a specific market using the podcast format. Don’t miss this chance. Get in now, be consistent, and ride the podcast wave. Why Not Just Do It All Yourself? The internet is full of free information, so why not just figure out podcasting yourself? Plus let’s not forget you can waste a heck of a lot of time finding information and then piecing it together into something you can implement. It’s well worth spending a couple of hundred dollars on carefully created training, if it can save you a week of wasted time. Plus you will quickly recoup the cost following the setup advice in Power Podcasting (so you don’t waste hundreds of dollars on equipment you DO NOT NEED). Enough spinning your wheels. It’s time to get some leverage for your business! Today, there is no better strategy than podcasting for leverage… when it’s done right. Up until this day, you probably had no ACTION PLAN for creating a podcast that will actually lead to supporting your business, making you more money. If you’re really hungry for change, you can go through this training in about three hours and twenty minutes and be ready to take on the world by storm TOMORROW. If you’re an expert, author, speaker, teacher, trainer, or a coach of any kind, podcasting puts the air beneath your wings. And by ‘wings’, I mean money flowing to your account on a regular basis. Now it’s up to you to prove yourself that you can do this, become a podcaster of great repute, stature and profitability. I already KNOW you can. I’ve done it myself for years, AND I’ve used this very same formula to help my private mastermind students become great podcasters, too. It’s not like I just thought of this, Power Podcasting is a fully tested and verified process. All you have to do now is take the first step. The rest is designed to happen automatically, step-by-step. Get Power Podcasting today, and in just a few short hours you will have a 30-day action plan tailored to your precise needs, interests and desires. This course shows you completely unique strategies you will NOT find anywhere else. If you want to add podcasting to your content marketing strategy, you won’t find a better training anywhere. Here’s a breakdown of exactly what you receive inside the Power Podcasting members area, all available as immediate downloads after you join. You enjoy lifetime access to this training, as long as I am still in business and you made full payment for the program. You can work as quickly or as slowly as you like, you have complete control. I can’t wait to see your first podcast published online. Be sure to send me a link when it’s ready so I can share it with my audience too. I love to show off my Power Podcasting graduates work :-). P.S. Is there ANY other way of content marketing… or marketing in general, that requires just talking from you? There is not. If you’re already overloaded by marketing tasks, constant content creation and more… should you also become a podcaster? YES. You may discover as you do so, you can stop doing many of the more time-consuming ways of marketing and content creation. Podcasting is the leverage you’ve been looking for… and Power Podcasting is the formula for making it easy, lucrative and fun. What more could you ask for? If I can do it so can you. What a novel idea. reach ….. not rich…… although that might be a good word! Either or really Ron. I record a Podcast and upload it to YouTube as well for extra exposure.